"BMI Chelsfield Park Hospital in Orpington, Kent is part of BMI Healthcare, Britain's leading provider of independent healthcare with a nationwide network of hospitals & clinics performing more complex surgery than any other private healthcare provider in the country. Our commitment is to quality and value, providing facilities for advanced surgical procedures together with friendly, professional care. 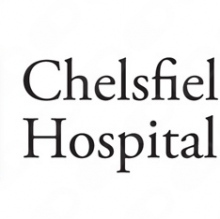 BMI Chelsfield Park Hospital has 46 beds with all rooms offering the privacy and comfort of en-suite facilities, satellite TV and telephone. The hospital has three theatres, and a high dependency unit. The hospital's HFEA licensed Assisted Conception Unit is one of the most advanced in the South East with success rates amongst the best in the country. These facilities, combined with the latest in technology and on-site support services, enable our consultants to undertake a wide range of procedures from routine investigations to complex surgery. This specialist expertise is supported by caring and professional medical staff, with dedicated nursing teams and Resident Medical Officers on duty 24 hours a day, providing care within a friendly and comfortable environment." im only fourteen and ive had so much surgery over the last few years; he's been amazing throughout it all' thank you. Dr Reddy is a fantastic doctor. I would have no hesitation whatsoever about going to see her, or for that matter recommending her to anyone. She is very kind and fills you with complete confidence. I really felt well looked after. She is very professional and has a lovely personality. I had a bilateral mastectomy on 29th January and Mr Desai and his team were truly wonderful. At a time of enormous worry and stress the whole team were so kind and professional that I had no worries about the operation and the after care has been exceptional. Thank you very much everyone. Mr.Desai is the most professional and caring surgeon you could wish for. He performed a radical double mastectomy on me and both his team and himself have been supportive and helpful during a dreadful time. Excellent specialist, listened and was not dismissive. I would not hesitate to recommend Dr Gall. My daughter has symptoms of POTS which has been ignored by other medics. He advised on other specialist who would be able to advise and help my daughter. General Surgeon, Plastic Surgeon, Mr.
Mr Sinha exemplifies the character of a true physician; kind, caring, thoughtful and wanting the best for his patient. His team also reflects these qualities. I just wish more doctors were genuinely caring for the best for the patient as he is. A doctor who goes the extra mile and more. Mr. Sinha and his team were very professional. Most importantly for me, is that you feel safe in the knowledge that he will do his best for you. Always have time for the wellbeing over and above orthopaedics. Very skilled surgeon and totally attentive whilst in his care. Mr Groom is a fantastic surgeon. He has operated on my knee twice and I have found him to be very caring and helpful. He shows genuine concern for his patients and listens very carefully to his patients. I would not hesitate to recommend him to anyone facing knee surgery. Every part of my experience relating to my surgery and follow up has been beyond expectation. Mr. Smedley leads a high powered competent team, and Mr. Smedley himself is an outstanding surgeon with a genuine and sensitive bedside manner. Hospital reception staff are accommodating and excellent. I have had a consultation with Dr. Neirami which led very quickly to pain treatment on my back, which I had yesterday. Clearly, I cannot so soon judge the outcome, But I want to say at this stage that I couldn't expect a clearer, and I hope more honest consultation. Felt I was listened to, felt important and felt that I was assessed as an individual person. Would recommend Dr Lulsegged even if you just have a consultation and then decide whether to go ahead with treatment. I'm very happy that I went. We would like to have more doctors like Mr Yanni. I felt that I am in good professional hands.